In case you hadn’t heard, there’s a new Judge Dredd movie coming out starring Karl Urban (who should know a thing or two about remakes… darn it, he’s an actor, not a doctor). To build up some mobile hype, a new game has hit the Google Play Store. 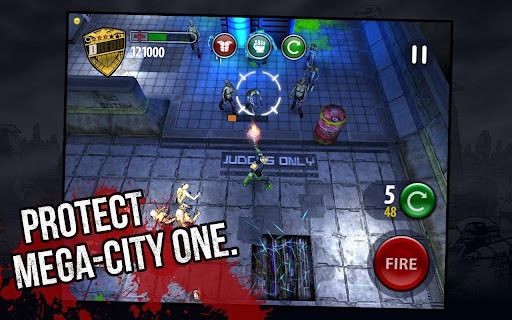 And since it is a mobile game, old Judge, jury, and executioner has come to finish off what plants, samurai, and Barry Steakfries couldn’t: zombies. 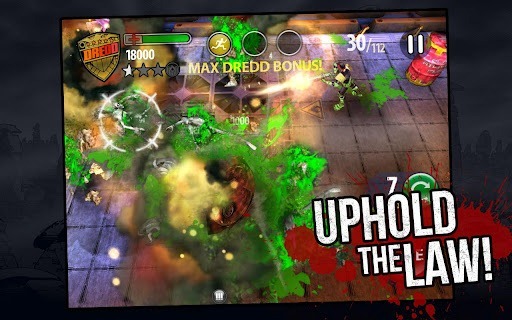 Judge Dredd vs Zombies is a rather typical top-down shooter: clear a room of undead crawlers via your gun, exploding barrels, or any other means, and you advance to the next one. For fans of the old Dredd vs Death game, it’s made by the same developer, and likewise “inspired” by the comic books, not the movie. Clear the level and you advance through an episode, clear the episode and you advance the story. You can also try an unlimited mode and shoot for achievements. 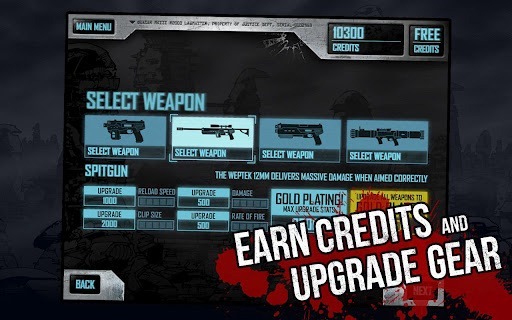 A wide variety of guns and upgrades are bought with currency which can be earned by killing baddies or an in-app purchase. 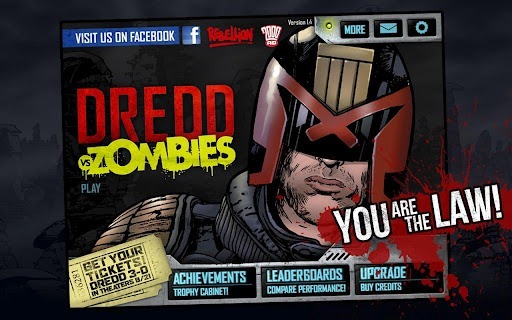 There’s a lot of advertising for the upcoming Dredd 3D movie, including a (thankfully skippable) full trailer that runs every time you open the app. You can purchase tickets for the movie right from the app… which might have been cool if it were integrated with the sometimes dull gameplay. Kill a million zombies and get a buy one, get one free movie ticket, perhaps?